Young Gifted and Black: Michael Jackson "Billboard Music Awards 2014" (Hologram Performed). 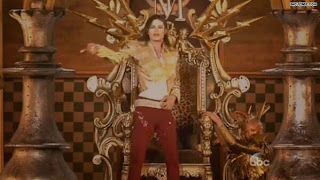 Michael Jackson "Billboard Music Awards 2014" (Hologram Performed). Michael Jackson's hologram performance last night was extremely sad and eerie for some. Hollywood has hated and berated Michael for most of his music career, to see them now use his likeness after death is a bitter pill to swallow, especially for those who tend to think his death was intentional!